You may remember David Glen Eisley as the lead vocalist on the first two Giuffria albums. Or you may not even remember Giuffria. If you do, however, then you know what to expect when it comes to "Stranger From the Past." Guitar driven rock heavily laden with keyboards and melodic choruses, "Stranger From the Past" sounds a lot like the old Giuffria. It's a cross between Whitesnake and Deep Purple with the keyboards adding a layer of solidity over a standard rock'n'roll beat. Sadly, I was never much of a Giuffria fan. Most of the time, music that relies so heavily on keyboards just doesn't work for me. It seems too slick, too soft. "Stranger From the Past" is much the same. Interestingly, the album was mixed by Pat Regan, whose own keyboard was responsible, in my opinion, for screwing up some pretty good music in the late 70s and early 80s. Considering that the vast majority of everything on the CD was performed by Eisley, however, he still gets his share of the blame. Still, when the keyboards take a brief step back, "Stranger From the Past" shines for fans of this kind of sound. Eisley is definitely a rock veteran and his "scotch-soaked" vocals (as described in the CDs liner notes) are still pretty strong and add a great deal of necessary "rough edge" to the sound. 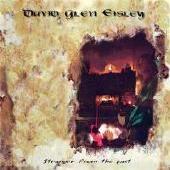 Performing on "Stranger From the Past" are: David Glen Eisley - all guitars, secondary lead guitars, keyboards, lead and background vocals, drums on track 6, bass on tracks 1, 8 & 11. Guest artists on various tracks include Stephan Ellis, bass; Craig Goldy, lead guitar; Ricky Phillips, bass; Pat Regan - Hammond solo and strings; Eric Riggler - Illean Pipes; Ron Wikso - drums; Chuck Wright - bass; India Joy Eisley - door slam(!). For more information, check out http://www.frontiers.it.